Big Or Small the furnace Division is up to the Task; performing those essential clearing and cleaning tasks, keeping production going. Dismantling on down periods and monitoring processes and coolants to see that all remains under control. The Core activity on which the original Edward Hanson Company was based, has been expanded to incorporate Furnace production Services, as well as wrecking and dismantling activities. The recent move into front side services provision has been a significant capital investment for the company, both in equipment, back up facilities, and training requirements. 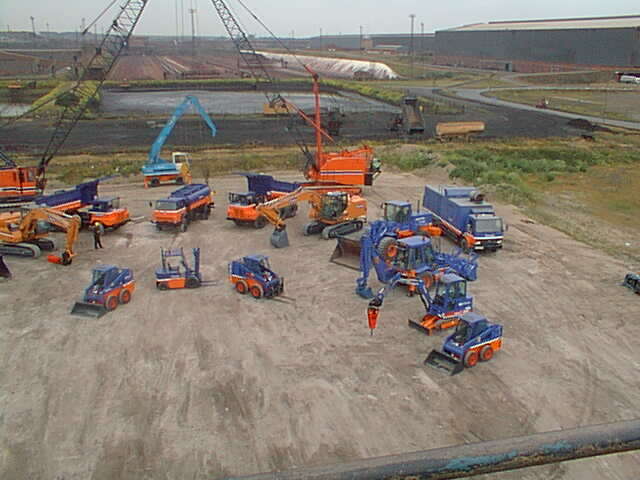 The operation was introduced to the Corus Scunthorpe site seamlessly, and the package incorporates elements of Iron Ponding management as well as built in furnace wrecking provision. Elsewhere activities of Soaking-pit dismantling, Refractory sorting and Recovery, and waste product disposal by haulage to landfill is carried out; complimenting the divisions range of activities. The production process around furnaces and industry batch production processes is usually large scale and a degree of support is necessary to keep it running smoothly. Production of the core product is the aim of the process usually manned by the clients personnel. Hanson Support Services prides itself in being able to economically provide services to meet these needs and enhance the core production process. The support ranges from keeping areas clean and free from spillage, to stores control and process monitoring. Where specialist kit is required Hanson will train personnel in its use, and if required provide it as part of a package. 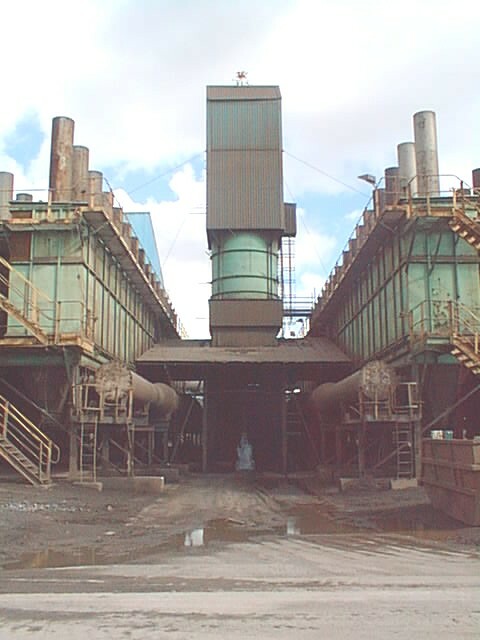 We have over the years also developed dismantling techniques specifically for soaking pits and Blast furnaces; but these techniques are transferable to other operations and industries, and by incorporating equipment recently developed the process can be speeded up and accessibility constraints overcome. 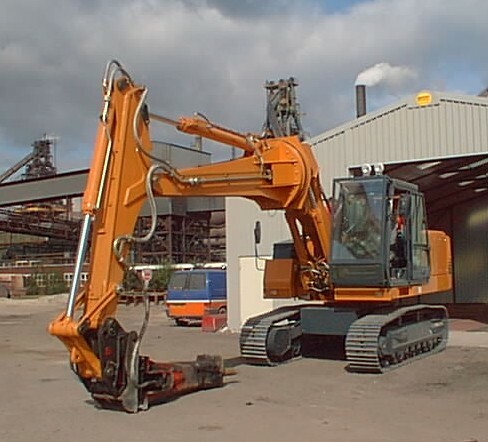 Pictured below is one of the few Rotating Boom Excavators in the country, these are used on our furnace contract.